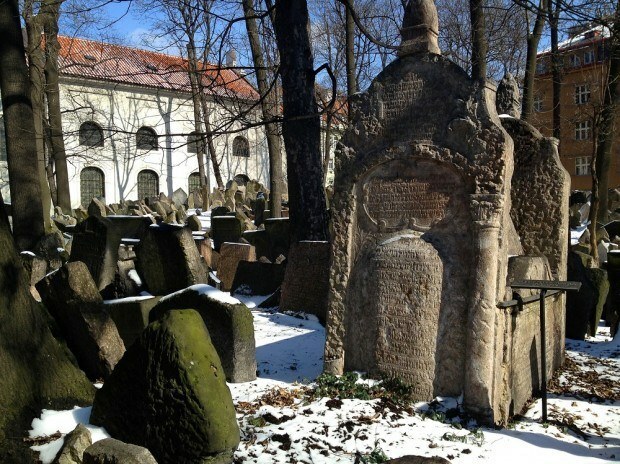 An eerie silence hung over the cemetery in the Prague Jewish Quarter. Despite being in the center of the Czech Republic capital of Prague, it felt a million miles from anywhere. A surprise late spring snowstorm had blanketed the city during the night and light crunching of snow under foot was the only sound to be heard as it echoed off the headstones. The Prague Jewish Quarter (called Josefov) dates from before the year 1100. 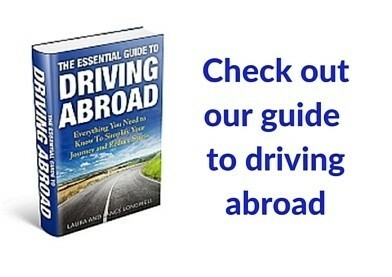 In Europe, a series of laws and regulations restricted all aspects of Jewish life –from public assembly to their professions. Ultimately, the Jews were herded into over-crowded areas, called ghettos. The German conquest of Europe during World War II eradicated most of the Jewish ghettos and nearly all of European Jewish culture, however, the Prague Jewish Quarter was allowed to survive. The Nazis actually brought Jewish artifacts from all over Europe to Prague because they intended to create the Museum of An Extinct Race. Today, 20th Century office buildings tower over the Quarter choking off sunlight to the small, humble buildings below. Inside the Jewish Quarter, we first entered the Pinkas Synagogue. The small building’s walls are ﻿﻿inscribed with the names of the Czech Republic’s Holocaust victims – all 80,000 of them. This moving Memorial to the Jews of Bohemia and Moravia set a somber tone for our visit. Upon exiting the synagogue, we entered the Prague Jewish Quarter Cemetery. 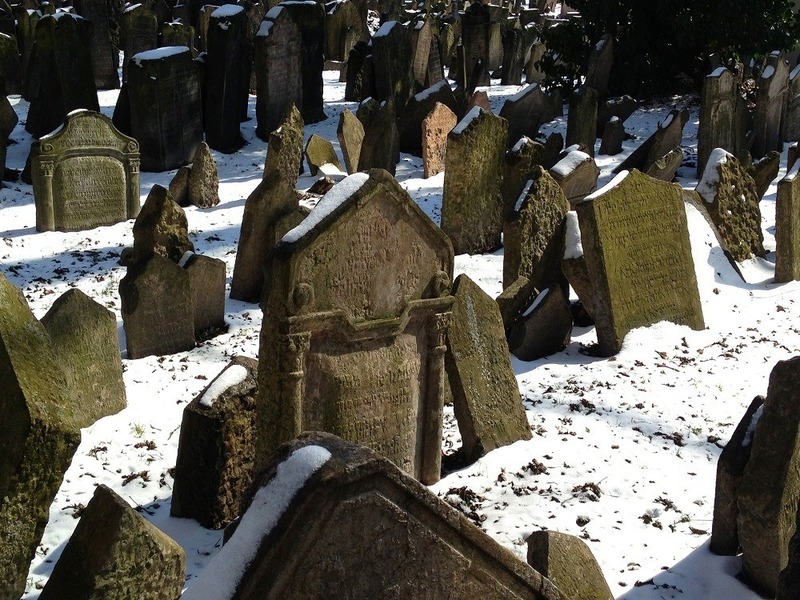 The 12,000 tombstones of Europe’s oldest Jewish cemetery are packed so tightly that you can’t fathom how they got them all into this space. An estimated 100,000 people are buried here – one atop the other. It is nothing short of chaos – but it is also beautiful and moving. The cemetery is the one area where the Jewish Museum allows photography, with the purchase of a CZ40 photo license (no photography is permitted inside the museum). After leaving the Old Jewish Cemetery, we visited several smaller buildings, including the Klausen Synagogue. These buildings are set up as a museum to Jewish culture – explaining the customs, traditions and objects specific to the religion. Growing up, I didn’t have significant exposure to the Jewish faith, so I found this to be particularly interesting. 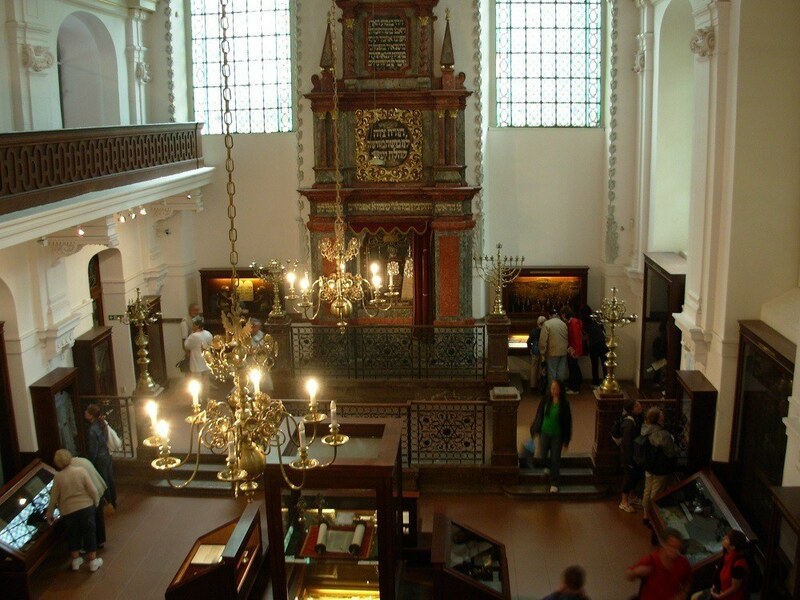 We capped off our visit to the Jewish Quarter by visiting the Old-New Synagogue. Since it is not part of the Jewish Museum, it required a separate admission ticket, however, we felt it was well worth it. 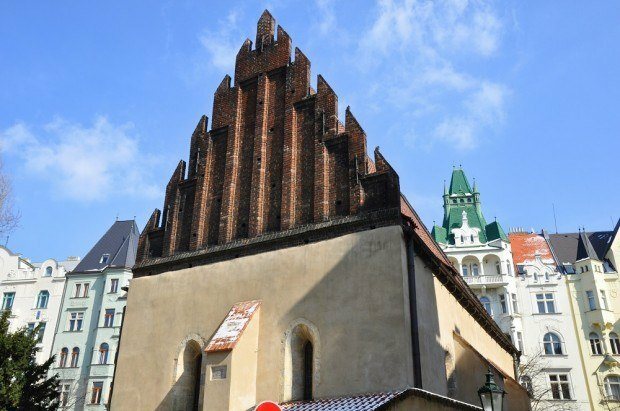 This is the oldest intact synagogue in Central Europe and dates from the 13th century. Sadly, we don’t have any pictures, but we were really impressed with the original furnishings inside. The center of Prague is a UNESCO World Heritage Site and the past lingers around every corner in this enchanted city. 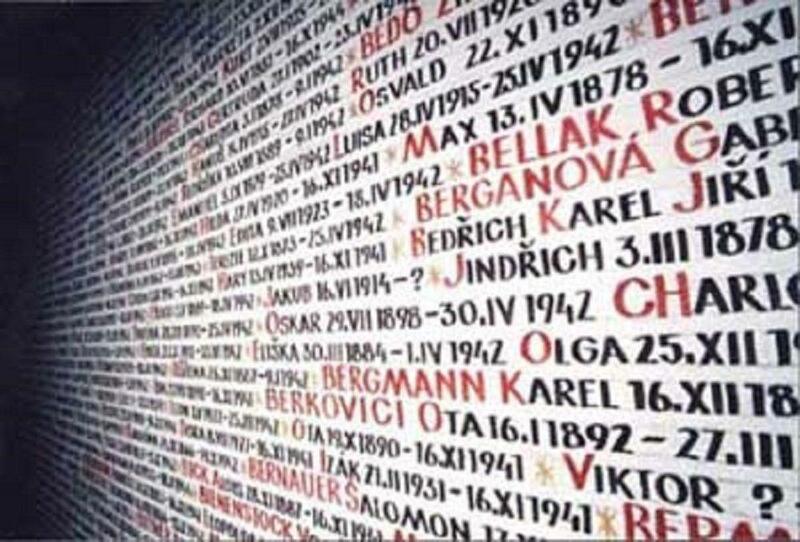 Europe’s sad treatment of its Jewish population over the centuries is commemorated in museums and memorials all over Europe, but this history absolutely comes alive in the tiny Prague Jewish Quarter. 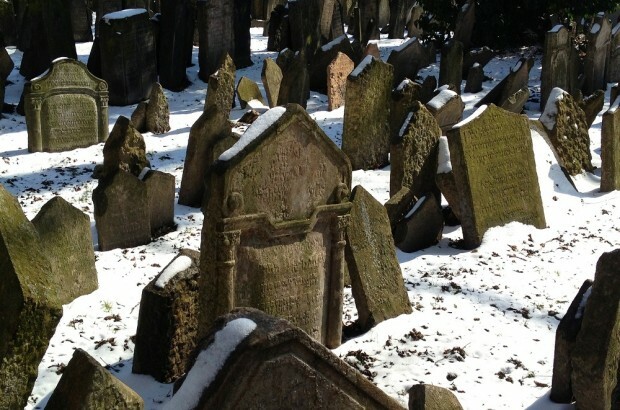 What do you think about Haunted Echoes in Prague’s Jewish Quarter? Old cemeteries always give that eerie feeling no matter what time of the day.. or even just to look at them in the picture, so seeing them in person is way more creepy. 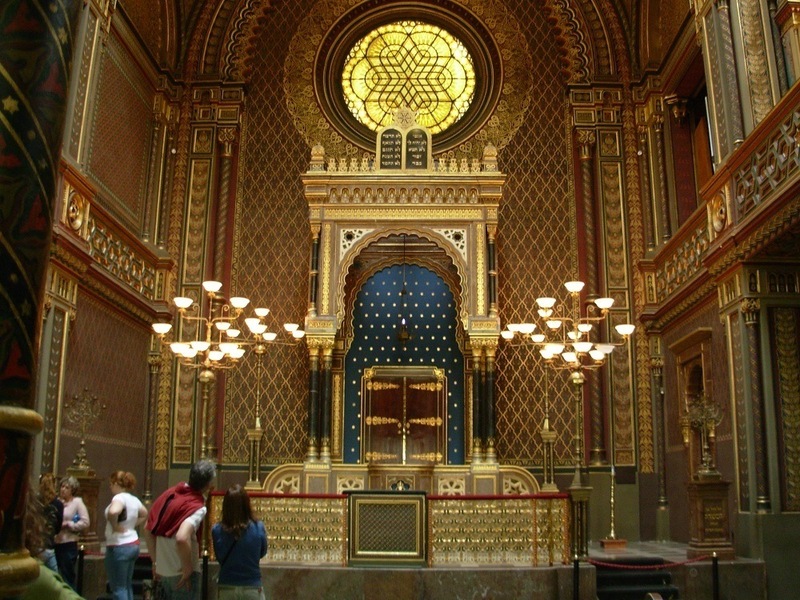 I think one of the reasons I want to visit Central/Eastern Europe so much is for the Jewish history and culture. 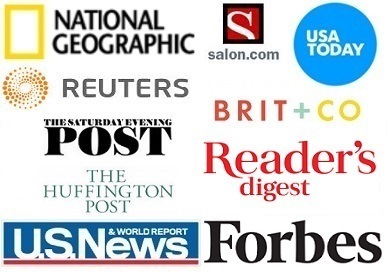 I have no direct connection to the Jewish faith save for friends but I have always been fascinated by the religion. I’ve seen plenty of Holocaust memorials in Western Europe but I’m sure nothing compares to seeing them and other famous Jewish sites in Central/Eastern Europe where sadly the destruction and horror was that much more. Very interesting post.